Hi, I’m Claire…. founder of Chameleon Glitter. I launched Chameleon glitter because as a salon owner & nail technician I have found it hard to find really good quality, ultrafine glitters & pigments for creating glitter nails with. So after several months of planning and testing, I have put together this gorgeous collection of glitters, dusts & pigments, some of which are ultra fine, precision cut cosmetic glitters (which means they have no sharp nasty edges and are totally safe for use on our skin). Our glitters are also solvent resistant which means that they wont lose their colour when added in to gel or varnish. My career in the nail & beauty industry began when I qualified from college in 1994 after studying for a Btec in Beauty Therapy. I opened my first salon in 1996 and then went on to train as a further education lecturer where I could teach nails & beauty within colleges, which I did do for several years alongside working in my salon. 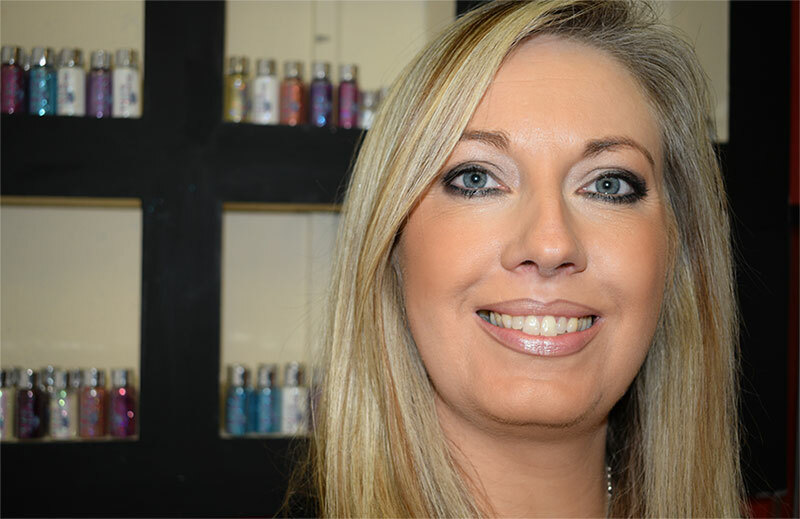 About 10 years ago I discovered Calgel and became a Calgel Premier status nail technician and that’s when Calgel approached me and offered me a job as a Calgel Educator, but unfortunately after training as an educator I realised I couldn’t fit it in alongside the salon and had to give it up which was a shame. I still do have a dream of educating within the nail & beauty industry and hopefully put some of my techniques to good use with the tutorials I plan to offer on Chameleon Glitter Facebook page and on the website. In my salon we use Calgel & Chameleon Glitter products only, therefore I know that our glitters, dusts & pigments are tried & tested and regular examples of our work are uploaded to Instagram & Facebook. Well I hope you like my collection of products and please add yourself to our facebook group and ‘Like’ our facebook page to see our latest nail designs and watch tutorials.